There is hardly any one who is not fond of chocolate Truffle flavor. 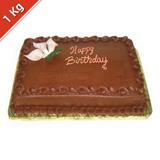 Thus receiving a chocolate Truffle cake as gift will definitely add smile on the recipient’s face. 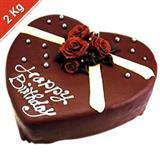 This is a delectable 2 kg round shaped eggless chocolate Truffle cake that you can send to your loved ones in all cities in India through GiftsAcrossIndia.com. The chocolate Truffle cake comes with with chocolate frosting and chocolate shavings. 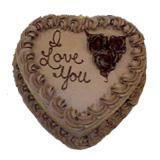 Your dear one will love to eat this cake. 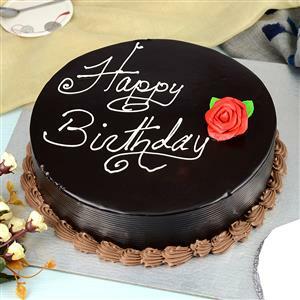 Send this cake with other Gifts across India.